With many options and many more brands to choose from, we can help you choose the perfect swimming pool vacuums in Hickory. Swimming Pool Vacuums in Hickory – Do you wish you could cut back on your pool maintenance time and really enjoy the summer weather? Swimming pool vacuums help pool owners keep their pools clean and free from debris, without the hassle of constant upkeep. Whether you have a residential or commercial outdoor pool, you are going to enjoy the assistance a swimming pool vacuum can provide. Suction Side Vacuums– This type of vacuum is the cheapest option, and it also has the least number of moving parts, which may help you avoid repair costs in the future. The suction side vacuum is great for residential pools that include a main filtration pump. Pressure Side Vacuums– While this cleaner may have more power than the suction side vacuum, it may require a specialized booster pump to run. Many pools come installed with this feature, but you will want to make sure before you purchase this option. 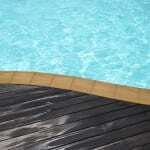 Our team at S & H Pools can help you evaluate if this cleaning option may be right for you. Robotic Pool Vacuums– This is superior option in swimming pool vacuums, though it may be more than you need. This vacuum is capable of picking up debris of almost all sizes, absolutely eliminating the work a normal pool cleaning may involve. With many options and many more brands to choose from, let our team at S & H Pools help you choose the perfect summer pool cleaning option for your needs in Hickory, North Carolina. We have over 40 years of pool installation and maintenance experience, helping you feel confident your pool will be fully ready when the weather starts to heat up. If you’ve ever asked yourself, “Where can I find a quality swimming pool company near me in the Hickory, North Carolina area?” come and see us at S & H Pools. Hours vary at this time, please call. Let us keep your pool looking healthy and ensure it is safe to swim in. Contact us about our free pool water testing today! We offer amazing swimming pool products and services to customers in Hickory, Claremont, Taylorsville, Sherrills Ford, and Catawba, North Carolina! Who Can You Trust for Reliable Swimming Pool Repair?